You have wasted ample of time in your kitchen before you figured out how to cook with an induction base pressure cooker. 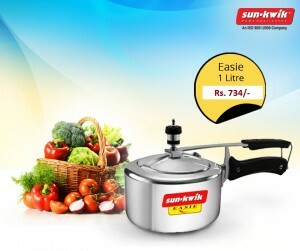 Induction cooking turns the pressure cooker’s base into the heat supply,as heating only at the base of the cooker to cook the foodstuff!So,it is a good idea to cook with induction base pressure cooker.Generally an electric burner only passes on 47% energy to the container and induction burner passes on 90% of its power to the container.So pair your pressure cooker with an induction burner and make your household into an energy saving star! You don’t have to pre-heat the cooker before cooking.You’ll be getting burnt oil and burnt vegetables otherwise.On induction the container’s surface gets scorching and all set to sauté in instantly. Firstly,make a portion of the aromatics,before tossing oil to sauté’,immediately switch on the induction burner.Do not bring the cooker to pressure on high heat. Bring the pressure cooker on medium heat to pressure or fasten the cooking time to recompense for the lower pressure cooking temperature. Right after you have adjusted the temperature, don’t walk off from a filled or large cooker. Make sure that you are using the induction burner’s timer to set the cooking time so the burner turns itself off involuntarily.If under cooked, lock the pressure cooker and cook for a suitable amount of additional time. Most foods with moist heat such as boiled,steamed,and stewed are appropriate for induction pressure cooking. 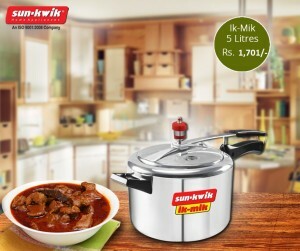 In pressure cooking liquid quantity ordinarily has to be reduced and there is little evaporation,so make sure that there is enough liquid for the entire cooking time. When you are cooking bring cooker to full operating pressure on medium heat and reduce the temperature immediately when full pressure is reached. Briefly take out the cooker from heat if the steam seems to be evacuating too powerfully. Did you know that the pressure cooker decreases cooking times?Here are some top recipes which you can cook in pressure cooker and an info-graphic,to quickly clarify the time savings and ease of pressure cooking rice and grains. When compared with conventional cookery,most foods cook 70% faster with 50% less fuel in a pressure cooker.Imagine brown rice in 15 minutes,lentil and broccoli soup in two minutes. Here are some do’s and don’ts to get absolutely edible grains.Remember these while you are cooking in a pressure cooker. Before you leave the kitchen area do check the cooking time and proportion.Each of the grain needs to re-hydrate entirely with exact quantity of fluid.The pressure cooking time chart is recommended while cooking. The food grains expand to once or double and you don’t want them to get any place close to the cover of the cooker.So,don’t fill the pressure cooker more than half way with the food preparation water/fluid. While cooking,add a bit of fat such as a bit of butter,oil or ghee,whichever goes with your recipe all along with the grains.The oil,butter will decrease the quantity of froth that is produced while the grains boil under pressure. Maintain the 10-minute normal release method after cooking is done.Almost all food grains should be opened using this process and it is one the most delicate pressure cooker opening methods that ensures no starch/foam comes scattering out of the cooker valve while you open the lid of the cooker. Formerly all pressure cookers had an external,detachable pressure gauge and they were made of aluminum.Now newer models are in stainless steel and have a built-in,almost silent pressure indicator with only one or two automatic settings. 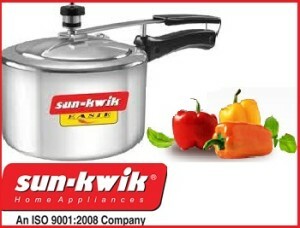 So now the pressure cookers are much easy to operate.According to the Pressure cooker manufacturer companies,single-level pressure cookers are easy to monitor,safe and perfectly adequate for home use.